The XA3 was benchmarked with Snapdragon 660 and 6GB of RAM. 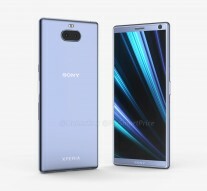 It will have a 5.9” 1,080 x 2,160px screen. You can feast your eyes on these CAD-based renders, the dual camera design is fairly unusual (confirmed by these cases). 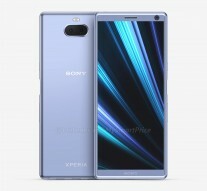 The Xperia XA3 Ultra will have a similar design, but its screen goes up to 6.5”. 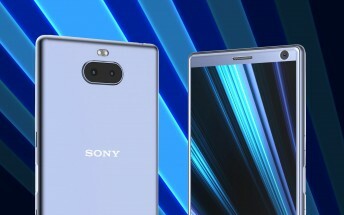 The third model is likely the Xperia L3. Unofficial renders show a phone with a 5.7” 720p+ screen (18:9), side-mounted fingerprint reader and a dual camera on the back. Interestingly, despite being an entry-level device and having a 720p+ screen, the L3 will supposedly use the same Snapdragon 660 chipset. 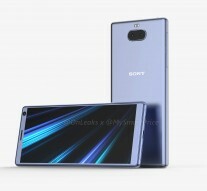 There’s a good chance that these three phones will be part of Sony’s MWC event, though we still think the spotlight will be on the XZ4.